For shipping to other EU countries visit this page Metal Earth ST Vor'cha Class. Chcete doručit zboží do Česka? Prohlédněte si Metal Earth ST Vor´cha Class. Chcete doručiť tovar na Slovensko? 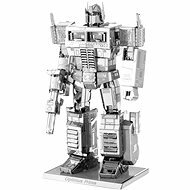 Prezrite si Metal Earth ST Vor´cha Class. Für Versand nach Österreich, besuchen Sie bitte Metall Erde ST Vor'cha Klasse. For shipping to the United Kingdom visit this page Metal Earth ST Vor'cha Class. Magyarországra történő kiszállításért tekintse meg ezt a termékoldalt: Metal Earth ST Vor'cha Class.